All across the country, individuals, businesses, and governmental agencies need fencing and security products. In most areas, it’s possible to buy some of these products from local fence suppliers, but selection and availability may be limited. In other areas, particularly in smaller cities and rural areas, these products can be difficult to obtain locally at advantageous prices or require special ordering from local suppliers. This becomes even truer with specialty products, such as security gates, security hardware for chain link fencing and access control products like gate operators and turnstiles. Town & Country Fence recognized these issues while operating an extensive fencing and security products operation in the Minneapolis St. Paul area of Minnesota. To address this need, we began to offer a complete line of products nationwide through International Security Products, founded in 1992. Fence Product Choices – Our customers can select from a wide range of fencing, security gates, turnstiles, and access control products. Instead of the limited selection that may be available in your local area, you can choose exactly the fencing products you want. That means you don’t have to limit or compromise your design. Fence Product Availability – Direct shipping means that the high quality products you need, including accessories and specially manufactured options are available to you. 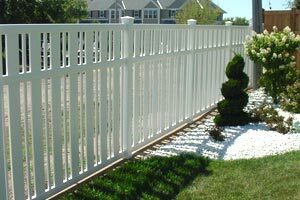 No retail or local outlet can stock a complete range of fence products, but the factory or distribution center has the inventory on hand and ready to ship in almost all cases. You won’t face out-of-stock inventory at a local supplier, as so often happens. Fence Design Assistance – Unless you’re an expert in fencing, turnstiles, security gates, or access control products, creating a complete order list for all the materials needed for a fencing project can be a daunting task. At our discount fence supply company, our experts work with you to turn your project sketches into complete materials lists and specifications. We’ll answer all of your questions, make recommendations, and double-check your order to make sure it’s complete, so your project can go ahead without delays. We confirm every order with the customer as a final step before submitting it. Save on Fence Materials – Our fence store’s volume purchasing from our suppliers and manufacturers means that we get substantial discounts. We pass those discounts on to every customer. Since we don’t handle the products ourselves or warehouse them, our overhead costs are low, too. The result is great savings for you. Save on Shipping Costs – Instead of paying hidden shipping charges added to the price of the fencing materials, plus local delivery charges, as you do at local suppliers, you pay just a single shipping charge, direct from the manufacturer to your business or project location. 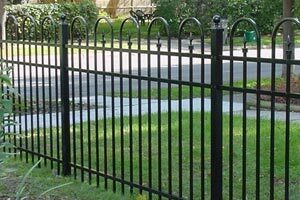 The advantages of ordering from our discount fence store are clear, and result in high quality products, great selection, great pricing, and great customer service for any fencing, security gate, turnstile, or access control project. No matter where you are located, International Security Products is your one-stop-shop for all your needs. 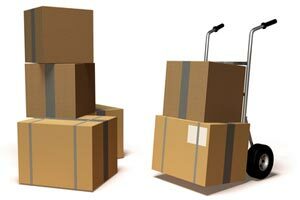 Our direct-shipping advantage gives you the edge that results in cost savings and worry-free ordering. Contact us today or request a price quote for your project. Let us show you why International Security Products is America’s premier fencing, security, and access control supplier.